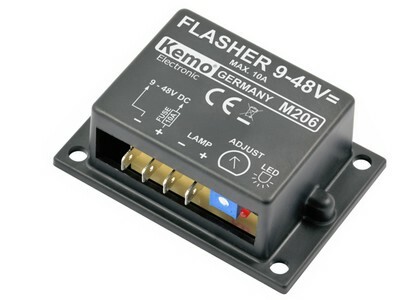 You may connect either incandescent light bulbs or LED lamps with operating voltages ranging from 9 to 48 VDC to this flasher. 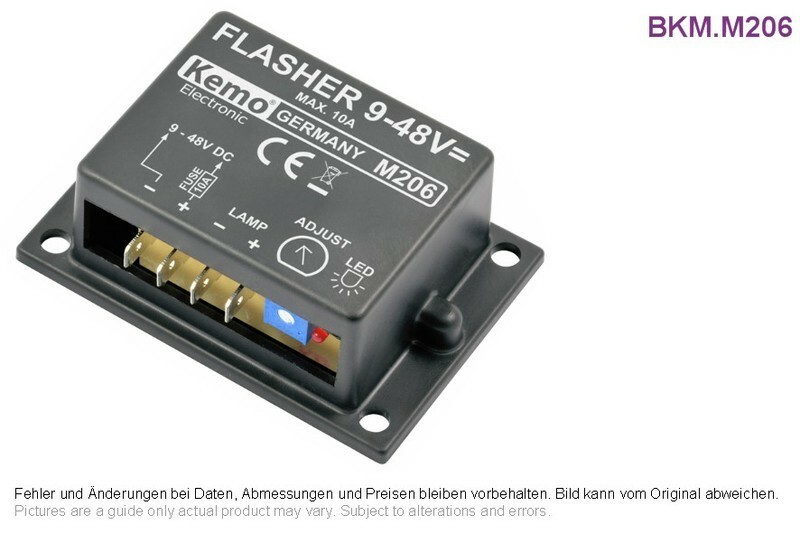 The flasher is then operated at the operating voltage of the connected lamps. The device is short-circuit proof. Adjustable flash period: approx. 0.15 - 7 seconds.